The Sorboe Collection is a collection of original 5x7 inch glass plate and safety film negatives taken by Thomas E. Sorboe, a Harlowton, Montana photographer. Thomas Sorboe was born July 15th, 1882 and died on January 1, 1971. 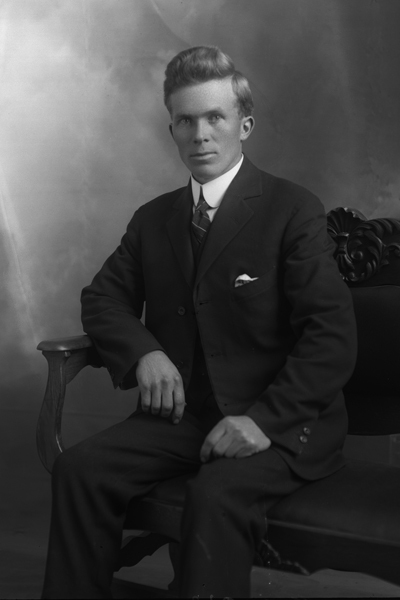 Sorboe ran a photography studio in Harlowton from 1908 until 1919, but continued to do photography until 1956, when he retired at the age of 64. The collection contains over 5,340 original negatives. The majority of the collection is studio portraits, with additional images of exterior views in and around Harlowton, Lennep and White Sulphur Springs. Thomas Sorboe died January 1st, 1971 in Harlowton. The collection was donated to the Museum of the Rockies in 1975. The portrait collection is cataloged and arranged alphabetically by surname. A NEW searchable online database of the Sorboe portrait collection can be viewed here.